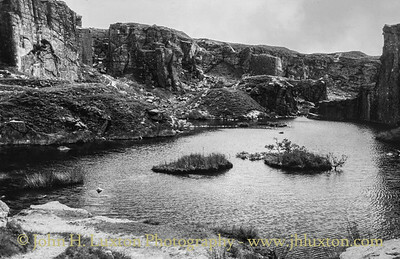 Foggintor Quarry is located on a flat and desolate part of Dartmoor in the heart of a landscape scattered with granite boulders and old industrial ruins. There was once a rocky outcrop, known locally as Foggin Tor, now there is just a vast and rugged pit filled with clear cold water. 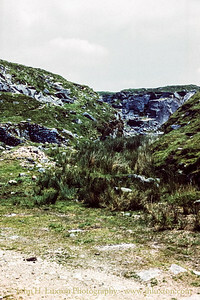 Foggintor Quarry opened around 1820 as “Royal Oak Quarry”. Closure of Foggintor Quarry came in 1906, however, the community of houses which developed around the Foggintor Quarry continued to house quarrymen and their families employed at the nearby Swell Tor Quarry which continued in operation until 1938. During the early 1840s Foggintor Quarry supplied the granite that was used to build famous London landmarks such as Nelson’s Column and stone from Swell Tor Quarry was used to construct the old London Bridge which was moved to the USA. A number of unused corbels from the London Bridge project remain at Swell Tor. Locally the stone from the Quarries was used for a vast number of buildings including the famous Dartmoor Prison and nearby village of Princetown. The stone being taken away by rail the remains of the track bed is a popular walking route. There exist quite extensive remains of the quarry sidings. 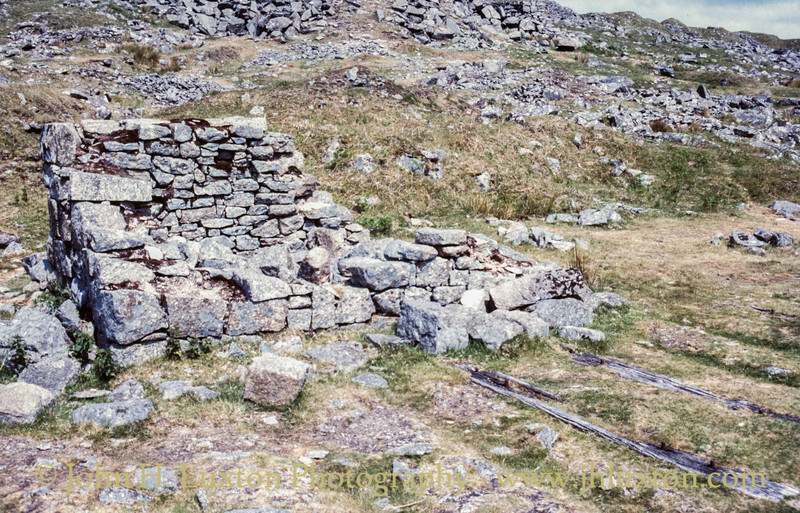 The remains of Hill Cottages. It is not known what the archway below the cottages was used for. 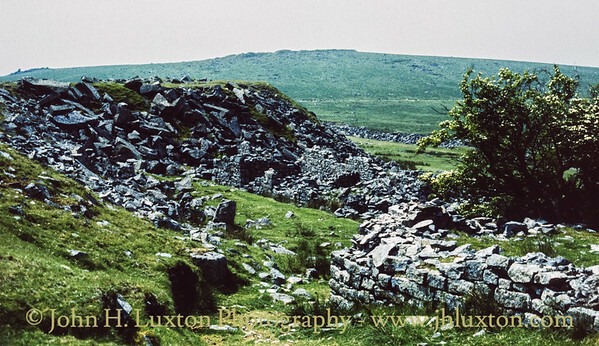 The book "Around Princetown's Quarries" speculates that it could have been used as stabling for quarry horses or storage for trucks. 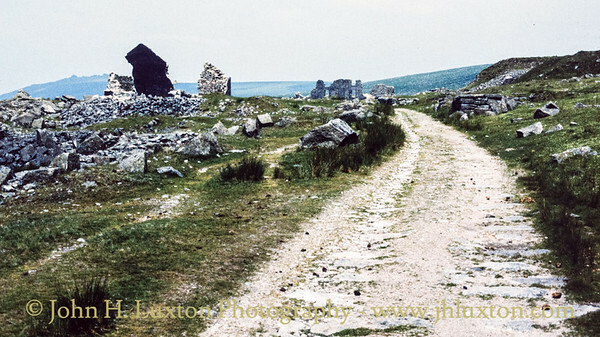 In some ways it looks like it could be a waterwheel tail race - perhaps there was a waterwheel located here before the "Hill Cottages" were constructed. The last resident of which is recorded as vacating in 1951. 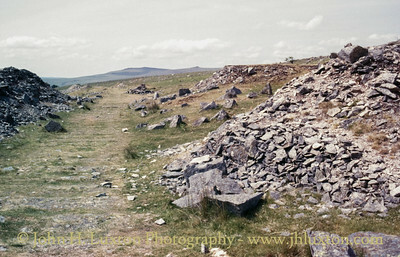 The remains of Hill Cottages. 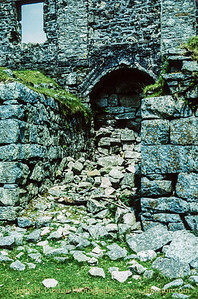 It is not known what the archway below the cottages was used for. 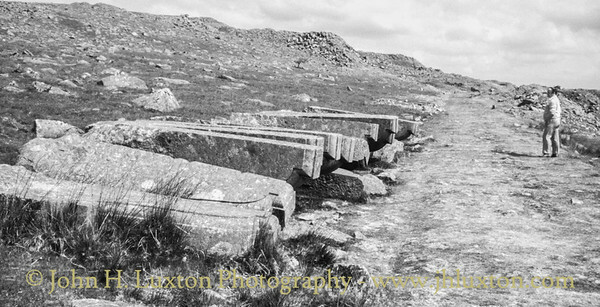 The book "Around Princetown's Quarries" speculates that it could have been used as stabling for quarry horses or storage for trucks. 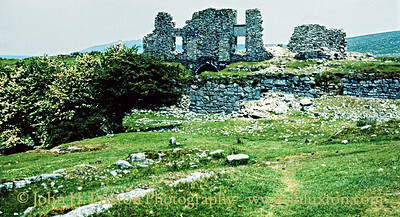 In some ways it looks like it could be a waterwheel tail race - perhaps there was a waterwheel located here before the "Hill Cottages" were constructed. The last resident of which is recorded as vacating in 1951. The trees mark the garden of the Quarry Manager's house. Entrance to Foggintor Quarry note the stone sleeper blocks. View along the former tramway track bed towards Yellowmede Farm and the Tavistock Road. 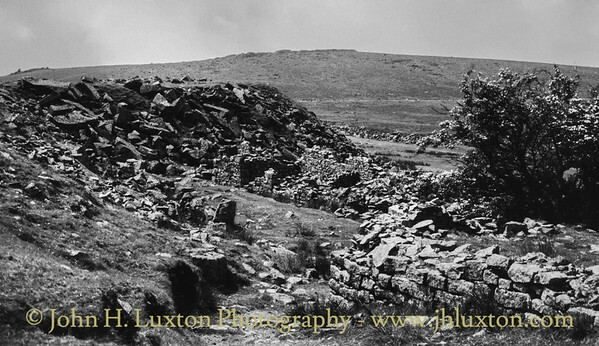 The prominent section of black wall is the remains of "Gibb's Cottage" beyond can be seen "Hill Cottages". My late father John William Luxton stands on one of the quarry railway sidings looking at the undelivered corbels which would have supported the pavement section of old London Bridge that had been cut for it's widening in the early 1900s. Some sources suggest that following the bridge's removal to the USA in the 1970's there had been more corbels at the quarry but they had been removed to replace one's damaged in the move. 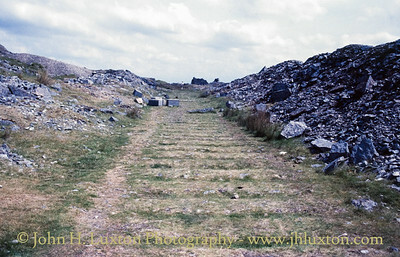 One of the sidings at Swell Tor Quarry the London Bridge corbels can be seen in the distance. Sleepers are still evident as are some of the rail chair fixing bolts. 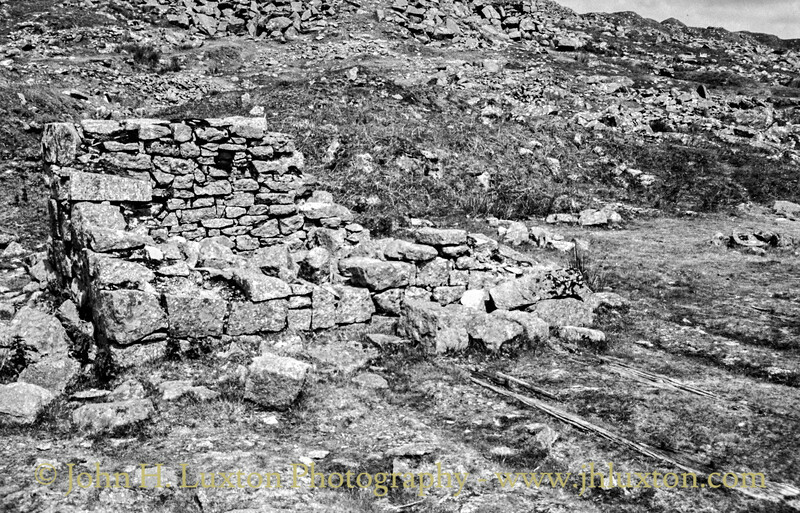 This building is believed to have been the quarry foreman's office. An uncompleted piece of work with a Minx 35GT camera alongside for scale. Could this have been going to have been a foundation stone by any chance? Swell Tor Quarry siding looking down towards the junction with the Princetown Branch. 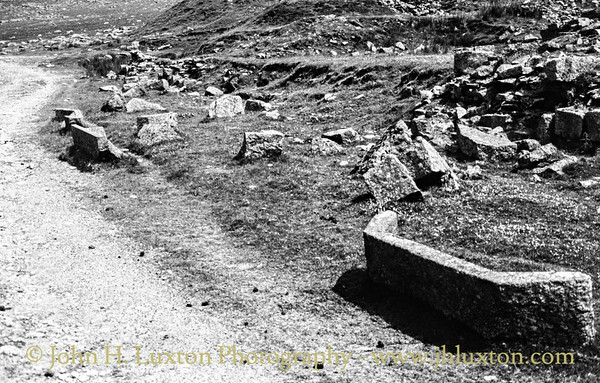 Swell Tor Quarry siding - a length of rail left behind by the scrap metal men! The loading bank is on the right. 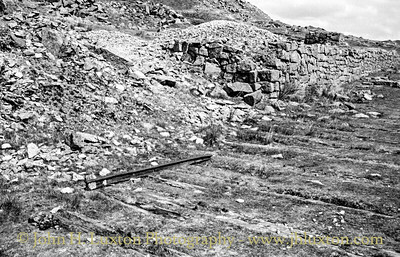 Swell Tor Quarry siding - a length of rail left behind by the scrap metal men! The loading platform is on the right. 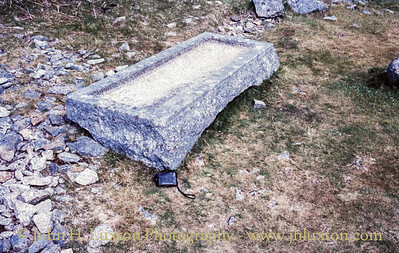 Remains of sleepers can be seen. 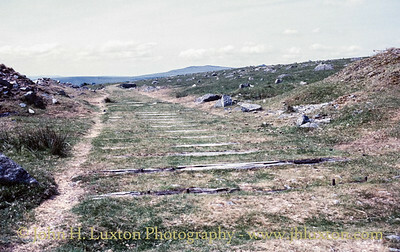 The siding was connected to the Princetown Branch of the Great Western Railway.